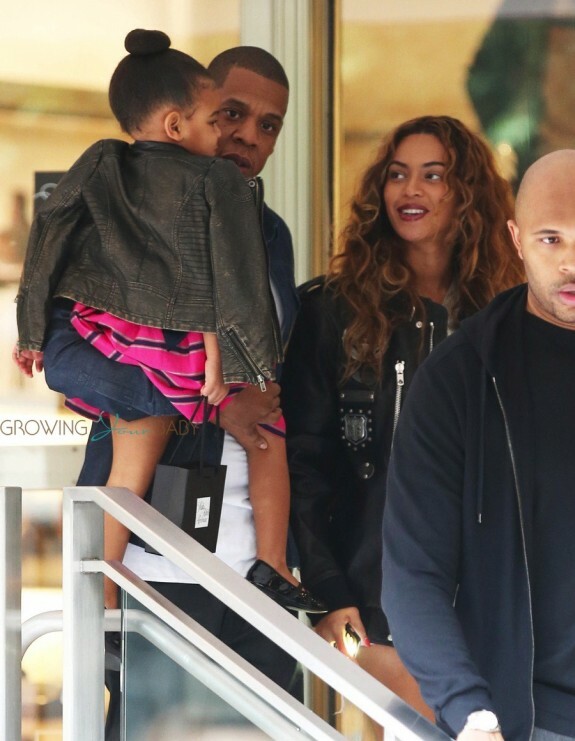 Proud parents Jay-Z and Beyonce were photographed taking their daughter Blue Ivy shopping at Saks Fifth Avenue in Beverly Hills, California on Tuesday(November 11). 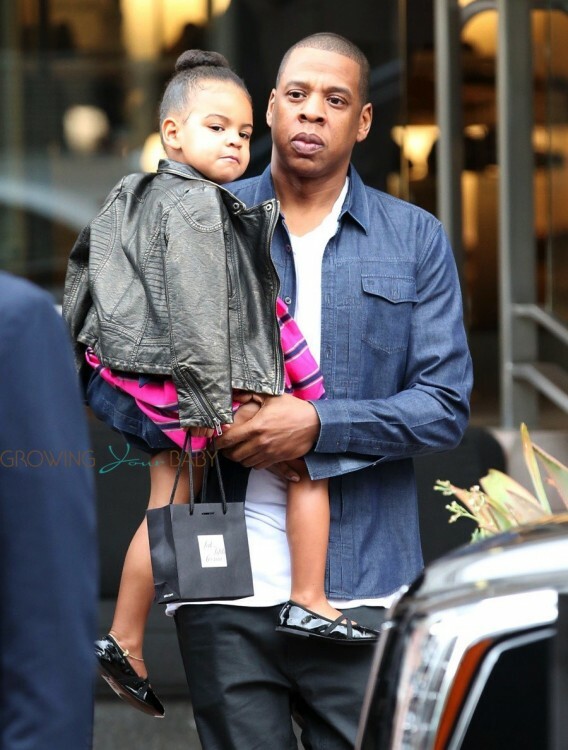 Blue was cute in a pink and navy striped dress, a black leather jacket and black patent leather shoes. She wore her hair up in a bun and carried a small bag as she left the store in her daddy’s arms. For the last few months the couple has been renting a home in Los Angeles, while they looked for something more permanent. It has been reported that they are very interested in a 23,000-square-foot megamansion in Trousdale Estates that is listed for $85 million. With eight bedrooms, 15 bathrooms, an underground garage, closets that could each hold a small boutique, and a movie theater, there would be lots of room for them to expand their family and host all of their famous friends!